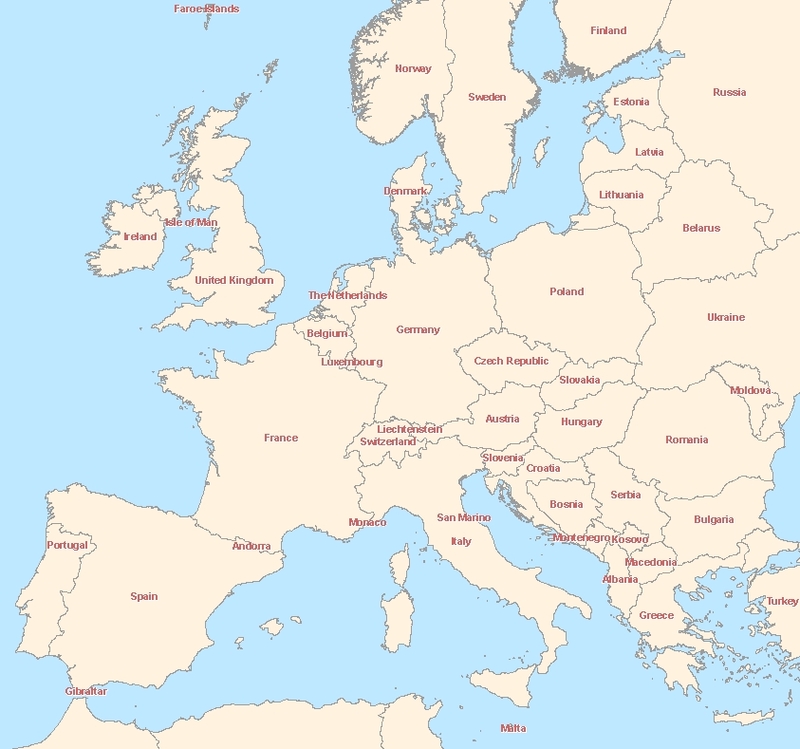 Click on a European country for a link to Wikipedia. There is also a map of the capitals of Europe. In total there are 44 European countries included in the map. The largest European country situated in Europe is Ukraine, a close second is the holiday-country France. Very small countries are: Andorra, Monaco, San Marino and Liechtenstein. The average highest country is Switzerland and is followed by surprisingly Spain. Greece and Norway are the two countries with longest coastlines.